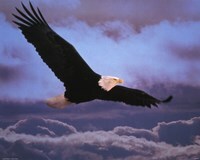 The eagle is a bird that is found in many parts of the world. 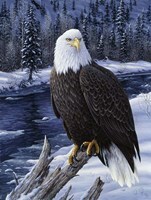 There are over 60 species of eagles and some of the most popular species of eagles include bald eagles and golden eagles. 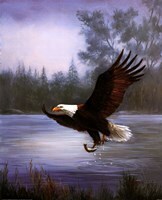 A bird of prey, eagles have hooked beaks and strong talons. 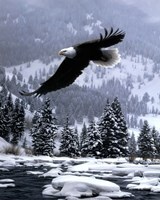 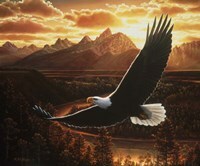 The eagle is a large bird that looks majestic as it sores with its long wingspan high above in the sky. 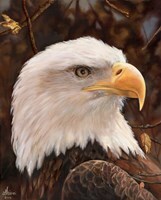 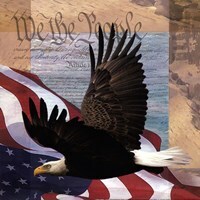 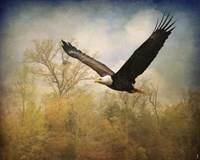 Whether you're looking to show your pride with a bald eagle American painting or simply looking for a majestic wildlife piece of art, FulcrumGallery.com has a large variety of eagle art and prints to choose from. If you enjoy birds or have an appreciation for the eagle, look no further than FulcrumGallery.com to find your eagle pictures and decor. 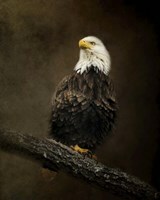 We have a wide selection of eagle prints including bald eagles, eagle photographs, black and white eagle prints, patriotic eagle prints, and beyond. 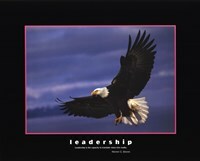 We make it easy for you by offering to frame your print or transfer it to canvas for you. 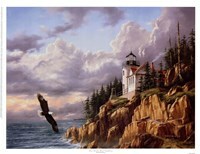 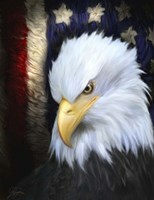 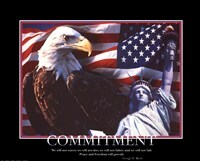 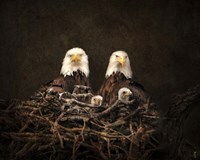 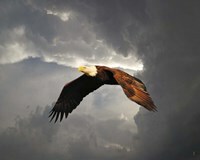 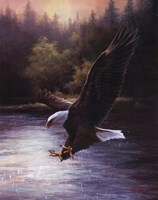 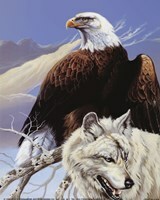 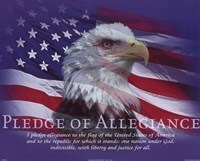 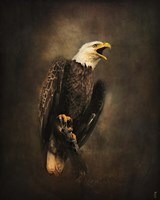 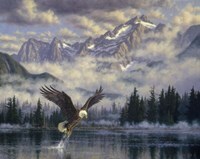 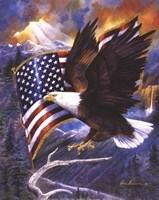 You can find great eagle art and prints today on FulcrumGallery.com today!